Every professional field is different, each having its own inherent perks and plus points; and also some disadvantages. People are mostly aware of the occurrences of their own profession, with unfamiliarity and disinformation about other vocations. Architecture as a profession is a great and noble one, but general readers don’t know much about the inner happenings of this metier. Most people think that architect’s lives revolve around graph papers and tedious designing, but don’t know much about the exciting, amusing and thrilling events that happen in the course of working as an architect. The book “Castles in the air” by author Sangeet Sharma, himself an architect is a whimsical and satirical account which sheds light on the inner workings of this profession. The book is written in a very easy going manner, and has its sardonic and satirical moments. Through its narrative, which is part-fictional part-anecdotal, it gives us an insight into the professional lives of the architects and their interactions with people that they encounter in the profession- clients, builders, contractors, engineers, masons, craftsmen, painters and artists. Most of them are comical instances, while some take the shape of serious introspection and sarcasm. In all these instances, a new picture emerges with the reader starting to view architects and their experiences differently and also understanding their trials and tribulations. However, some of the instances appear one-sided and the reader yearns for a more comprehensive outlook, taking the views and difficulties of the other side also into consideration. The front cover of the book shows a sculpture of a Greek man, reminiscent of Michelangelo-esque sculptures made of Plaster-of-paris with intricate designs. The book cover doesn’t tell much about the story, and something more directly related to architecture and not sculpting should have been portrayed instead. However, this may have been done to chisel quirkiness and unconventionality in the start, which continues in the kitschy and avant-garde storyline. The blurb on the back cover is razor-sharp just as the narrative in the book, with tongue-in-cheek phrases. 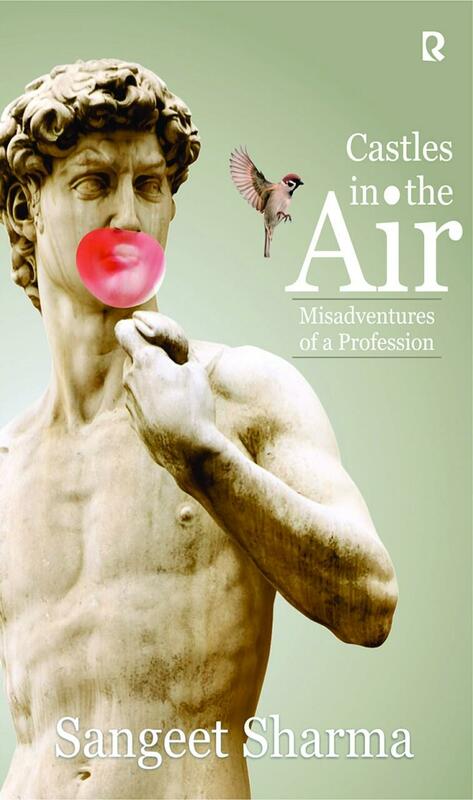 The subtitle of the book “Misadventures of a profession” is very apt, for the book takes the architectural vocation bang on and is unforgiving of the problems faced in this profession. This is a book that offers quirky literary bites and humorous and witty delights pertaining to architecture and what transpires in the lives of architects on a day-to-day basis. It is an enlightening portrait and acerbic depiction of all things architecture. This book should be read by architects themselves for they can take a hearty laugh on the misadventures of their profession, which is detailed in the book in an elaborate and incisive manner; and also by anyone who is even remotely connected with the building industry, to get a sneak-peek into the sometimes mundane and almost always exciting lives of architects.